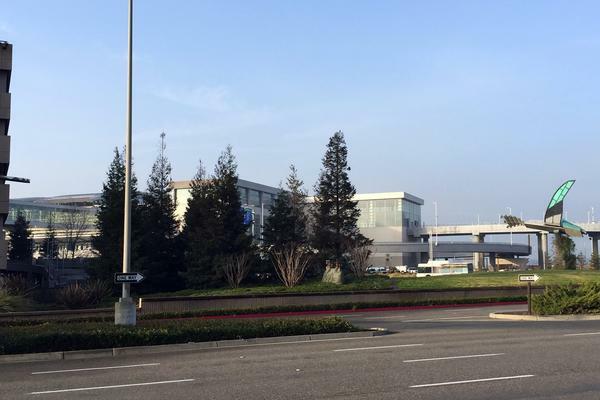 A $23 million Hyatt Place hotel proposed for Sacramento International Airport could be open in 2017. 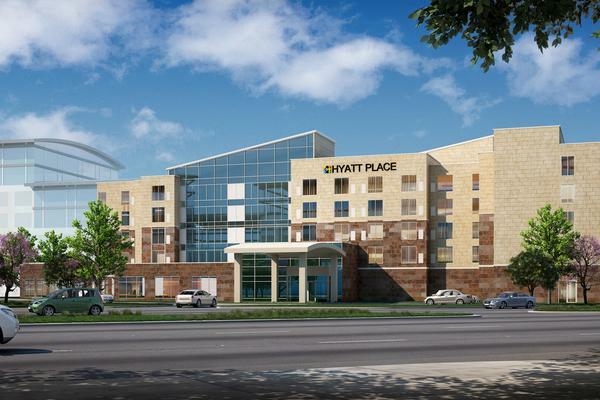 This rendering depicts a Hyatt Place hotel proposed for Sacramento International Airport. It could be open in 2017, if Sacramento County approves a development agreement. Sacramento County supervisors at their meeting Tuesday will consider a development agreement with Los Angeles-based real estate development firm Sonnenblick Development LLC to build a 135-room hotel between the airport’s main commercial terminals. The hotel would feature indoor pool and spa, fitness room, a dining area and 3,500 square feet of meeting space. Hospitality company Sonnenblick-SMF LLC would develop and operate the hotel, paying the county a fixed fee of $900,000 though the first four years of operations, and then a percentage of gross revenue. That scale would be 5 percent from years five through 19, 6 percent in years 20 through 39 and then 7 percent of gross in years 40 through 50. The developer also would pay a one-time fee of $2.5 million to use 164 spaces in the airport’s parking garage. “Our customers have requested the convenience of an onsite hotel for many years and we are now at a point where we are ready to move forward,” said Sacramento County Airport System director John Wheat. If approved, construction could begin by June, when federal flood map building restrictions on the Natomas Basin are lifted. A $23 million Hyatt Place hotel proposed for Sacramento International Airport could be open in 2017, if Sacramento County approves a development agreement. This is the site. Hyatt Place is a limited-service property. Locally, there are Hyatt Place properties in Davis, Rancho Cordova and Roseville. Sacramento County, which operates the airport, has been seeking a hotel for more than a decade. The previous hotel at the airport, the Host Airport Hotel, was successful, but the small hotel was demolished for the expansion of the airport’s new terminal and parking garage. Sonnenblick-SMF LLC would negotiate a contract with the UNITE-HERE Local 49, the local hotel and restaurant employees union. The previous hotel had been a union shop. The county says if the Hyatt Place is successful, a second hotel is possible. The airport is a demand driver for the hotel. Many flights out of Sacramento leave very early in the morning, so travelers from all over Northern California could use the hotel to arrive the night before traveling. Also, the hotel, like the airport, is right off Interstate 5, which can generate demand from drivers. Another potential business for the hotel is air crew rooms. Many airlines have contracts that require them house their flight crews in nearby hotels.